Azim Premji-backed iD Fresh Food, a ready-to-cook meals company that dominates the market for idli and dosa batter in southern India, has announced that it will focus only on organic food products. The Bengaluru-based firm said the move will help it to address the modern day challenges of food sustainability. 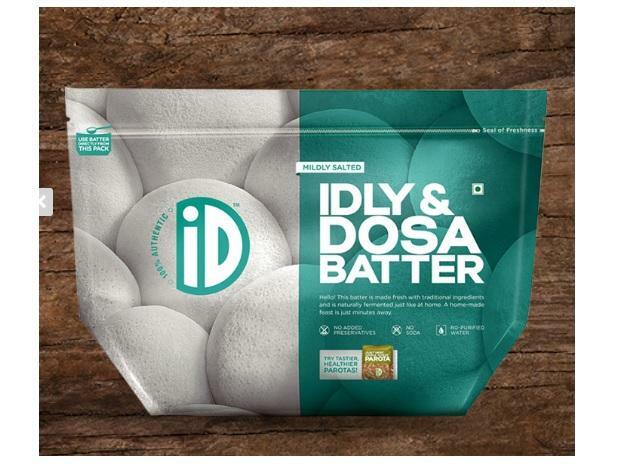 The phase-wise transition of iD Fresh products into organic items has started and will include flagship offerings such as idli and dosa batter and Malabar parotta. Over the course of the year, other iD Fresh products, such as natural paneer, filter coffee decoction, wheat chapati and vada batter, will also join the organic group. Musthafa PC, chief executive officer and co-founder of iD Fresh Food, said one of the triggers for this transformation was the death of his co-founder’s father due to cancer, an event that led them to make organic products. “The food we are eating is full of pesticides. We thought we should take up the challenge,” said Musthafa. The firm has been working on the technology and supply chain to become organic for the last two years. Musthafa said all of the company’s ingredients and processes are compliant with organic certification norms – from suppliers to storage facilities and manufacturing units. The firm raised Rs 150 crore in 2017 from PremjiInvest, the family investment arm of Wipro Chairman and billionaire Azim Premji, and it has been invested in building such facilities. “We are a profitable company,” said Musthafa, who is expecting to achieve revenue of Rs 350 crore in FY20. “Going organic is the direction of the consumer preference. They are actively looking for wellness (products),” said ace venture capitalist Kanwaljit Singh, one of the board members. “From our experience, consumers are willing to pay a slight premium for organic (items),” said Singh. The organic products market in India is expected to touch Rs 10,000-12,000 crore by 2020, according to a report by Assocham and EY. ID Fresh has evolved from making the batter in a 50-sq ft kitchen in Bengaluru to modernising food packaging and establishing its presence in 28 cities across India and the UAE. The company provides 55,000 kg of ‘idli and dosa’ batter per day, with other products like parottas, vada batter, chapati and paneer to more than 21,000 retail outlets.